As the circuit schematic above. The relay (RL) is activated by a voltage of 4.5 volts. The relay switch is connected to one LED with a current limiting resistor (R). In the relay coil installed several LED in series. RL 8 pin Double Pole Double Throw (DPDT) relay with 5 volts coil voltage. Seen in the video below, when activated the relay will supply current to a blue LED. 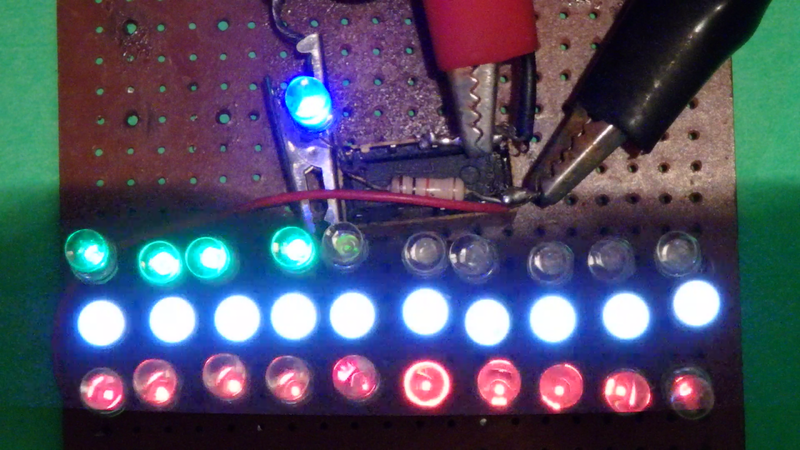 The video shows that the blue LED will be lights up immediately after the relay is connected to the adapter. The relay coil becomes active, and it becomes an electromagnet. When the adapter is disconnected, the blue LED immediately turns off and the relay is off. Then after the blue LED is off, some series LEDs will light even though the supply current from the adapter has been disconnected. Because those series LEDs get power from the relay coil, not from the adapter. This current comes from the induction of the magnetic field that collapses in the relay coil, also called spike voltage. The current direction from the coil is in the reverse direction of the adapter current. 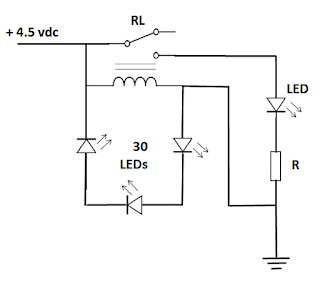 Therefore the serie LED is installed in reverse of the adapter current direction. On the relay coil pin which is connected to the positive wire from the adapter, a crocodile clip is installed to choose the number of series LEDs to be connected on matrix circuit board. 3 x 24 = 72 volts. The actual spike voltage is actually higher, around 200-300 volts. Although the current is very small and the period is less than 1 second, spike voltage can damage transistor and IC (Integrated Circuit). Installation of reverse diode as a snubber can reduce spike voltage. If all series LEDs are connected to a total of 30 LEDs, there will be a shortage of voltage in some LEDs. So those LEDs with low voltage cannot light up. 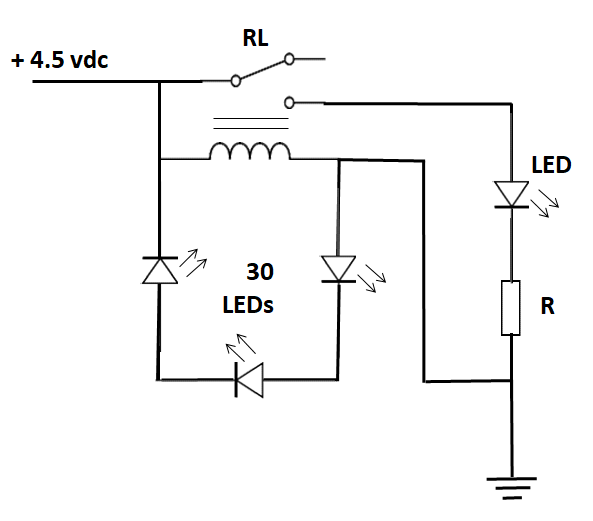 LEDs require a minimum current to light up. If the current is smaller than the minimum current, even though the voltage is very high, the LED will not turn on.